Gary Webb (August 31, 1955 – December 10, 2004) was a Pulitzer prize-winning American investigative journalist. Webb was best known for his 1996 "Dark Alliance" series of articles written for the San Jose Mercury News & later published as a book. In the three-part series, Webb investigated Nicaraguans linked to the CIA-backed Contras who had allegedly smuggled cocaine into the U.S. Their smuggled cocaine was distributed as crack cocaine in Los Angeles, with the profits funneled back to the Contras. Webb also alleged that this influx of Nicaraguan-supplied cocaine sparked, & significantly fueled, the widespread crack cocaine epidemic that swept through many U.S. cities during the 1980s. According to Webb, the CIA was aware of the cocaine transactions and the large shipments of drugs into the U.S. by Contra personnel. Webb charged that the Reagan administration shielded inner-city drug dealers from prosecution in order to raise money for the Contras, especially after Congress passed the Boland Amendment, which prohibited direct Contra funding. Webb's reporting generated fierce controversy, & the San Jose Mercury News backed away from the story, effectively ending Webb's career as a mainstream media journalist. In 2004, Webb was found dead from two gunshot wounds to the head, which the coroner's office judged a suicide. Though he was criticized & outcast from the mainstream journalism community, his reportage was eventually vindicated as many of his findings have since been validated: since Webb's death, both the Los Angeles Times and the Chicago Tribune have defended his "Dark Alliance" series. Journalist George Sanchez states that "the CIA’s internal investigation by Inspector General Frederick Hitz vindicated much of Gary’s reporting" and observes that despite the campaign against Webb, "the government eventually admitted to more than Gary had initially reported" over the years (Wikepedia). 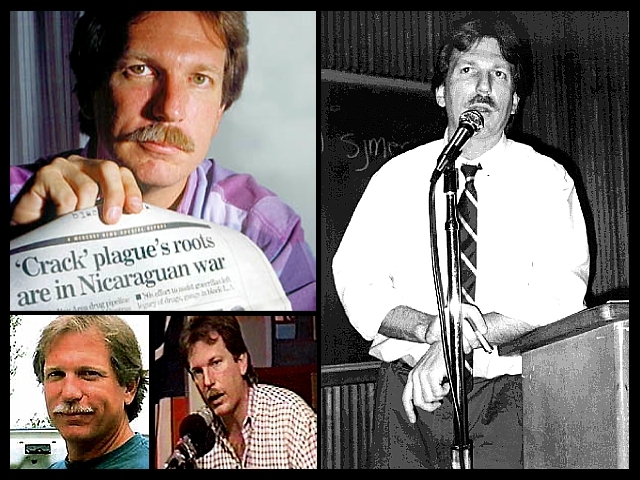 The Death of Gary Webb: Is the government sending us a message?